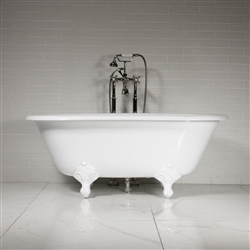 Simply beautiful bathtubs, finished in a minimalist bright white exterior. The white can be done in a high gloss or eggshell finish. 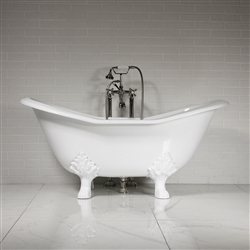 While we do not show every tub in our collections in a white exterior, upon request, every tub we offer can be finished in white. For simple cleaning, we use a high grade clear lacquer finish, the painted finish will not alter during the tubs' lifetime.